These are the notes used by Brian Murphy when he gave his DNS and BIND talk at the Sept. 17, 2000 TFUG meeting. host. We'll see more of this later. 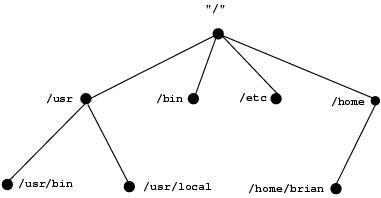 Each unit of data in DNS is indexed by a name. The terms domain and subdomain are interchangeable. A zone is some part of the domain name space. is said to be an authority for that zone. The difference between a domain and zone is subtle. data that are delegated elsewhere. DNS is often called a distributed database. issue recursive and iterative queries. root and takes referals until it gets an answer. if not, NS asks . NS (a.root-servers.net. ;found from named.ca) for www.tfug.org. NS asks f.root-servers.net. for www.tfug.org. NS asks ns1.azstarnet.com. for www.tfug.org. Q: What is a lame server? A: A server that is not answering as an authority for a zone when it should be. A: No. Things will not work and you'll have a hard time figuring out why. Q: What is the minimum setup needed for a simple caching only nameserver? available by InterNIC at ftp://ftp.rs.internic.net/domain/named.root. ; Sample zone that uses ns1.example.com as the SOA. ; example.com has 10.0.0.1 as an assigned IP address. IN	TXT	"My example DNS zone"
IN	TXT	"POP mail server"